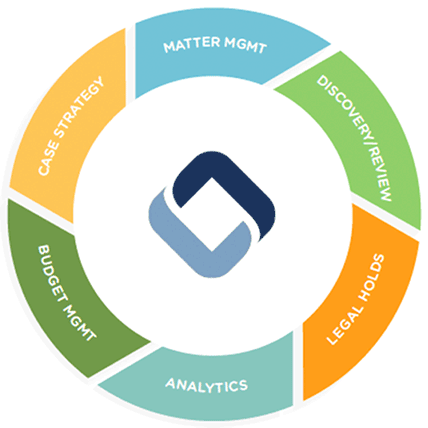 Legal Tech Software: eDiscovery and Case Management | LLM, Inc. Switching between tools is costly, so why do you do it? We start working the second you have a legal issue and are with you through the very end. Access the entire platform with a single login, saving you time and money. From budgets and legal holds to review and strategy, we’ve got you covered with the most robust legal software platform in the industry. Inside and outside counsel communicate and collaborate with ease across a matter. A legal department gains keen oversight into all matters and budgets. Software adjusts for the right fit, whether for a boutique litigation firm or Fortune 500 company. Using one product for all of your legal needs eliminates the cost of having multiple tools and the risk of data loss between tools, saving you money. We connect corporations and firms in a way where both parties benefit. Save time and money and cut legal costs across the board. Your executive team will thank you. Gain transparency and predictability into case detail and strategy across one or all of your matters. Collaborate and communicate with outside counsel like never before throughout an entire matter. Streamline the more tedious tasks and gain efficiency by working within one platform. Leave more time for strategy and prep – the real reason your client hired you. Stand out from the competition by delivering insights and transparency your clients are demanding. Easily collaborate with inside counsel throughout the entire life cycle of litigation or an investigation and easily see things like status right from the platform. Every case is different. That’s why we provide every customer with a dedicated project manager to answer any questions you have, every step of the way. We take security seriously. In the last 17 years, we’ve only been down one hour, and that includes maintenance. To provide the best security for our clients, we have a dedicated private cloud. We know your legal department or law firm handles more than just one type of legal issue. That’s why we’ve made our product as flexible as your team has to be. The tools I used before LLM, both in-house and through other vendors, were clunky and sometimes counterintuitive. These allowed us to more efficiently and more expertly prepare for depositions and trial, and this is what counts for litigators. Our legal department not only had a huge amount of discoverable and AEO documents to sort through and keep organized, but also attorneys in different locations who required access to them. So we turned to LLM and got exactly what we needed: anytime, anywhere access to well-organized materials. Plus, all along the way, there’s been awesome customer service and support. All for a very competitive price. When you come across a business that you deal with that has very good customer service, it catches your attention! That’s LLM. It changed our litigation practice in three complementary ways. First, like most technological innovations, the superior tools and user interface leveled the playing field between small and large firms. Second, these same innovations allowed us to partner more effectively with in-house counsel. Additionally, when we made suggestions to the software development team, they listened and incorporated the new features into subsequent releases. Service is outstanding. Best turnaround in the industry. We like the look and feel, it’s user friendly and has a better interface. It’s easy to use, both for our attorneys and our paralegal staff. It helps us do our jobs, which is critical. I feel like LLM is tailored for me, particularly working on the back end. Hosting gives us easier access to our information and case documents. It’s a great online platform for case management and definitely one of the more user friendly tools out there. People in any office can access it as easily as me. Everything I’ve needed has been available. LLM is well organized, easily searchable and has incredible customer service. You can always talk to a live person, even on late nights and weekends. We reached out to LLM on a Sunday afternoon regarding a DOJ report and within an hour, they had it uploaded.